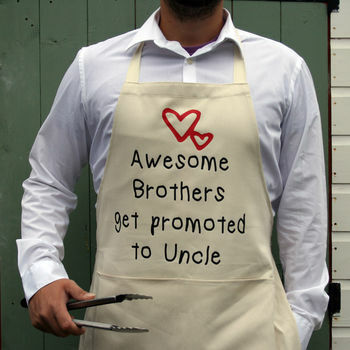 A beautiful, natural cotton cooking apron to give to the Uncle to be! 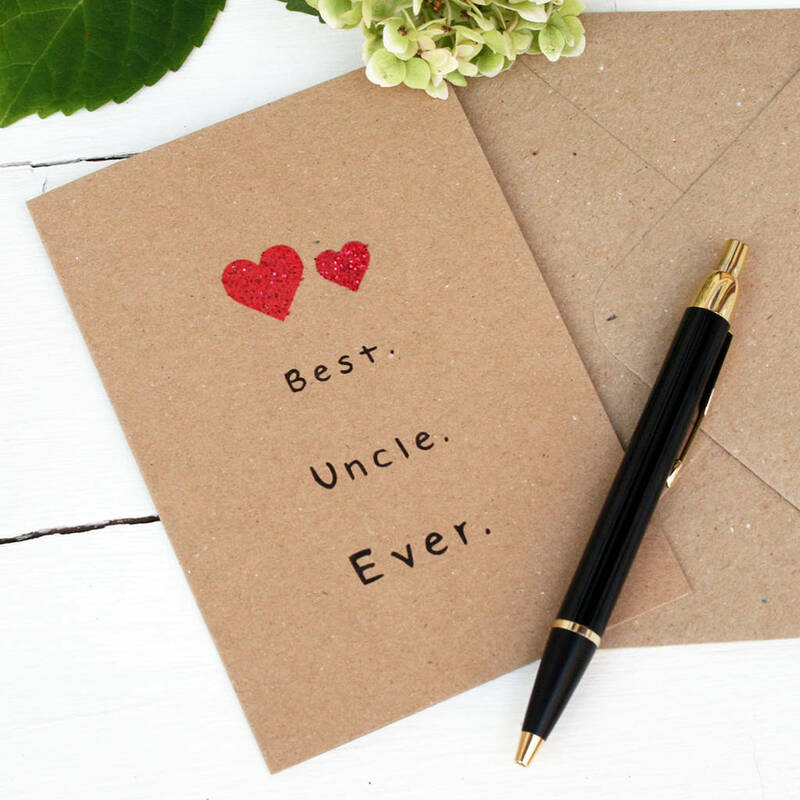 The perfect gift to give to an awesome Uncle or as a reveal of a new addition to the family. There is the option to choose 'Awesome Brothers get promoted to Uncle' or 'Personalised Text'. 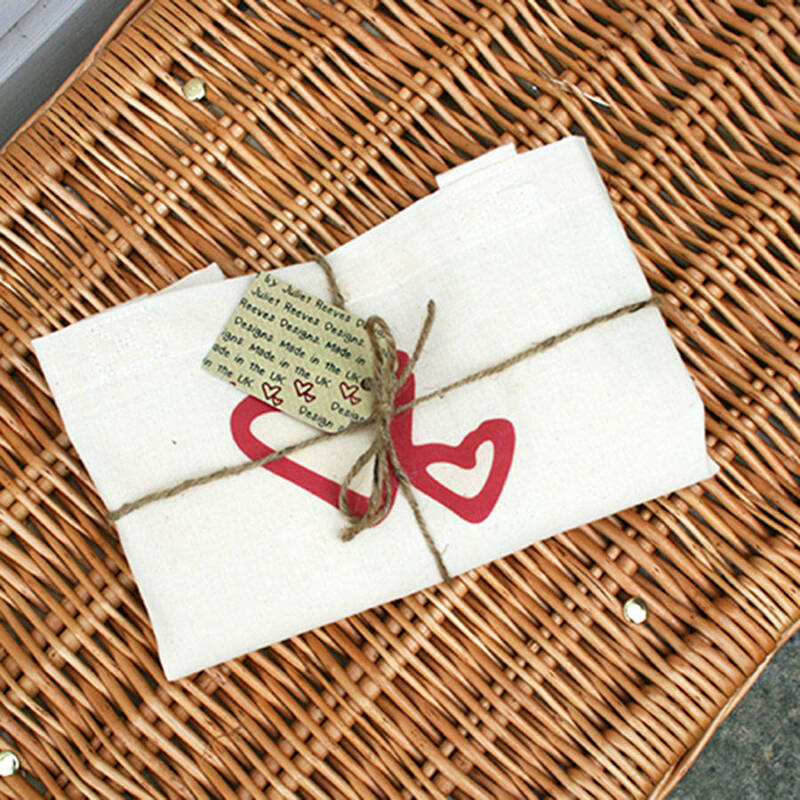 If you would like to personalise the apron with your own text please select 'personalised text' from the drop down menu and enter ALL the text you require. Any text enetered into the text box without this being selected will not appear on the item and the standard apron will be sent. 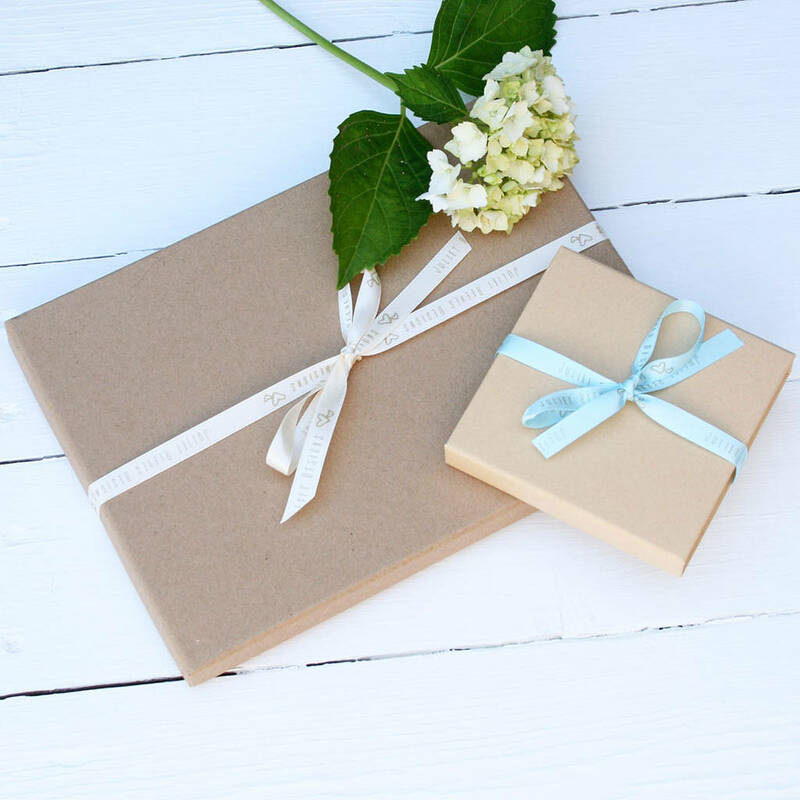 This product will come wrapped in a matching ribbon. It is hand printed on 100% natural cotton and comes with pockets.